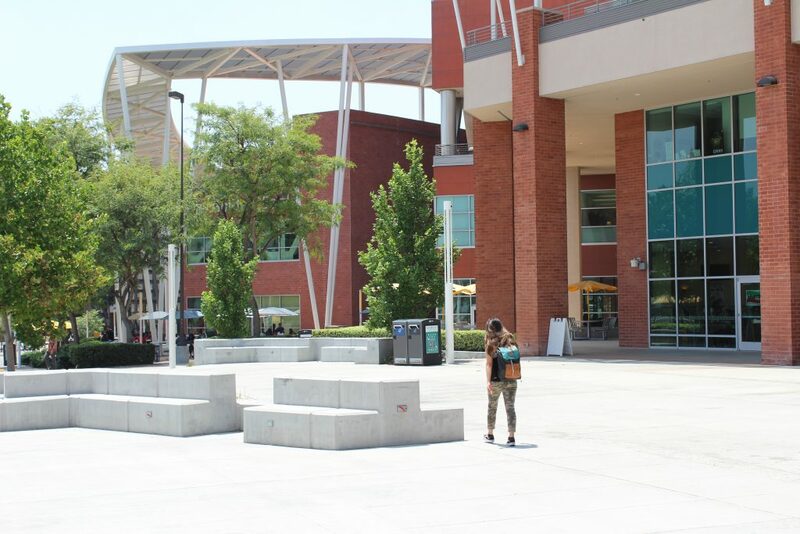 Student walking on campus of Cal State Los Angeles. With all the optimism and high expectations “back to school” season brings, it’s easy to overlook the reality: on college campuses across the country, far too many students are not going back to school at all. We need to talk about why this happens because if we want California to have a prosperous economic future we need more students — especially low-income and first-generation students — to keep going back to school until they graduate from college. Researchers have been studying why college-going students don’t complete their degrees and their findings mirror what we at College Track have seen in our 20 years of working with thousands of low-income and first generation students to get to and through college. Undergraduates struggle when they are not academically prepared and when the cost of higher education becomes prohibitive. But these are not the most common reasons why students leave college before graduation. Instead, 70 percent of College Track’s non-completing students cite factors such as stress, isolation and feeling a lack of social belonging as the reasons they withdraw from school. Said another way, even with developed academic skills and financial support, poor social-emotional wellness adversely affects academic performance and the ability to graduate. These challenges often begin as soon as a new freshman steps on campus. We know many of our students arrive at college feeling they don’t belong and that they’re not worthy of the experience. It is a completely foreign environment. Imagine entering a lecture as a freshman and noticing you are the only person of color. This is a reality for many students. I see it all the time. Fortunately, more universities are acknowledging the importance of social-emotional health and are offering comprehensive support programs for students, including access to mental health professionals and programs, most of which are free for students. Any of us who parent, advise or teach college students should encourage them to take advantage of these resources early and often. For example, while on campus for a tour or orientation, parents or tour guides should point out the health and wellness centers and talk with students about when, why and how to use them. We can also print out local crisis numbers and texting hotlines and adhere them to the back of student ID cards, demonstrating that their mental health matters and making it easy for them to know where to go in times of crisis. “If you need help, get help” should be a prevailing theme. We know that developing strong support networks of peers, advisers and professional mentors can reduce isolation and improve both campus experiences and future employability. Similarly, finding a niche group to be part of — perhaps through living in a learning community or joining a club — fosters strong social bonds. We can support college students in developing these networks and groups by talking about their importance early in the admissions process, knowing young adults with less exposure to higher education (or those who are naturally introverted) may need more frequent nudging. Something as simple as asking a college student how they are doing personally — not just how they are doing academically — and offering to make connections can have a significant positive impact. Even better, I suggest all students in the college application process explore what resources the colleges on their list have for social-emotional support and make that part of their decision-making criteria. For example, does the school offer transition support services? Onsite counseling? Resources for first-generation and undocumented students? Peer advising? If the answers are yes, make sure the student knows how and when to access them. If the answers are no, then the student may need to find and invest in off-campus supports and will need to be comfortable developing their own networks of peers, advisers and mentors. Studies of College Track alumni show that when we account for all aspects of the college experience — academic, financial and social-emotional — students can and do graduate college at rates on par with all students and far exceeding those of their low-income and first-generation peers. We know education is the most reliable escalator out of poverty and the best tool to improve systemic inequalities. It’s also the critical ingredient for growing our state’s economy. So why aren’t we doing more to get students across the finish line, degrees in hand? A smart and achievable step in that direction would be to place as much emphasis on social-emotional health as much as we do on GPAs and the cost of college, so that every college student has the chance to celebrate going back to school. 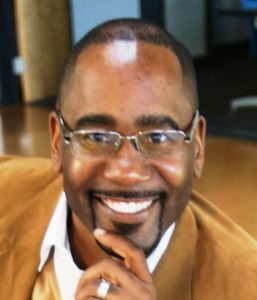 Omar Butler is regional executive director, Northern California for College Track, the national college completion program headquartered in Oakland which empowers students from underserved communities to graduate from college. Omar was the first in his family to earn a college degree. Thank you Mr. Butler for shedding a light on this very important issue. Like you, I’ve seen students and families struggle with accessing mental health resources-either because they are not readily accessible or because of the stigma that is all too often associated with it. Your advice to community stakeholders working with and advocating for first gen and low-income students can and should occur long before students reach programs like College Track. Just imagine—students in low-income communities better equipped to deal with all the life that comes their way, so that they can reach their fullest potential. Youth of color have GRIT, but it needs to be nurtured. And of course, these resources can support all students. And yes – let’s encourage youth to access them. Unfortunately, I’ve witnessed teachers publicly ridicule students who receive mental health services. Let’s also make these services more available. Teachers, parents, PTA’s, School Site Councils and school board members across the country should advocate more strenuously for on-site supports. Beyond increasing students’ academic success, such supports can prevent school violence and ensure our students set foot on a college campus in the first place. Although I agree with the author, I am a little worried the real issue is not being addressed. Why do wait until community college to address this deficiency? I am a first generation college graduate who came from a humble background. I understand the feeling of isolation at college, yet I didn’t let that feeling stop me. I was taught to get back up when I stumble, so I have never been one to back down from something I want. This quality can be learned and should be taught since kindergarten. Why are we allowing our students to fail? I understand some students may still need some support, but a majority of students should not be quitting because of “stress, isolation and feeling a lack of social belonging.” Our society should be doing a better job of fully preparing our children for a world that requires fortitude. You are absolutely right that there is more we can be doing from very early ages to prepare students to be as resilient and self-reliant as possible, ideally long before they arrive at college. It is important to recognize that many students need these extra supports once in college, and there is much we can do from that point forward to help them transition and succeed. Thanks for this insightful article. It’s an important reminder that we need to go well beyond academics and money -the easy things to measure- if we want to support student success. My only add on is that this perspective puts a lot of onus on students and families to seek out support. That is important, but I would also stress the importance of colleges proactively supporting low-income and first generation students. Fund student activity groups. Pay student groups to do outreach to freshman to ensure they are welcome and connected. Track attendance to look for signs that students are facing obstacles or becoming disconnected. Give teachers resources to create social gatherings for students (the first time a professor invited me over for a group dinner, I was blown away). Pay for more counselors to form relationships with low-income and first-gen students before difficulty happens. There is a lot that can done to promote social-emotional wellness, but it requires a major shift in college culture and resource allocation. Thank you for raising this point. You are correct that there are many avenues universities can take to recognize and address the issue, and thankfully many of them are making significant investments in this area. It takes a village!